Out of over 700,000 people screened from January to June 2017, over 700 people tested HIV positive, reads the report conducted by the National Program for the Fight against AIDS (PNLS). Raphael Nshimirimana, Head of Prevention and Social Mobilization service at the PNLS, says the number of people living with AIDS is enormous. “If nothing is done in the immediate future, the spread of HIV risks being great,” he says. PNLS Deputy Director, Richard Manirakiza says HIV / AIDS is a major public health problem for the entire sub-Saharan Africa region in general and more particularly for Burundi. “HIV infection is still very high,” he says. Mr Nshimirimana warns anyone who neglects this disease that AIDS is no longer a public health issue. Rather he calls on everyone to contribute by raising the awareness on the fight against it. 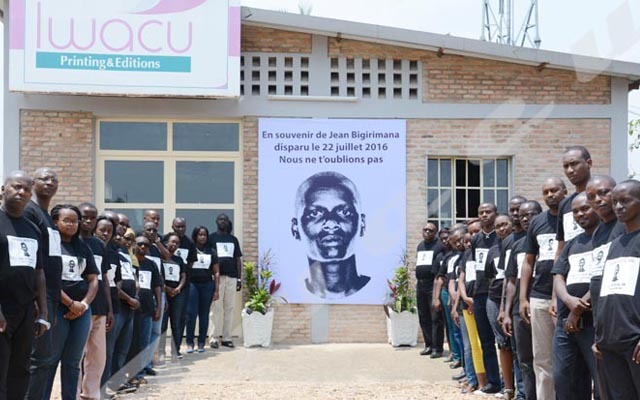 To better deal with this problem, the Ministry of Health has set up a health program that closely follows the trends of HIV / AIDS infection in Burundi. The 2017 UNAIDS data show that an estimated 36.7 million people were living with HIV (including 1.8 million children) – with a global HIV prevalence of 0.8% among adults in 2016. Around 30% of these same people do not know that they have the virus. Since the start of the epidemic, an estimated 78 million people have become infected with HIV and 35 million people have died of AIDS-related illnesses. In 2016, 1 million people died of AIDS-related illnesses. The vast majority of people living with HIV are located in low- and middle- income countries, with an estimated 25.5 million living in sub-Saharan Africa. Among this group 19.4 million are living in East and Southern Africa which saw 44% of new HIV infections globally in 2016.